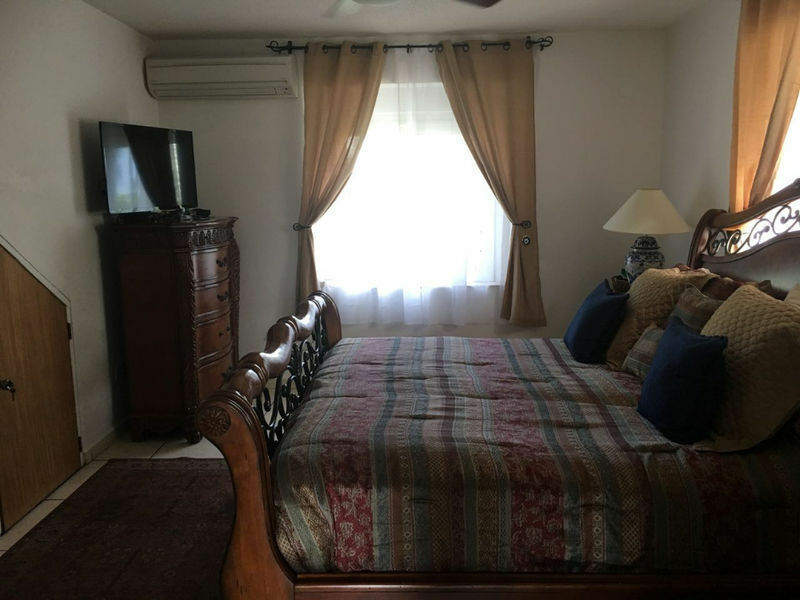 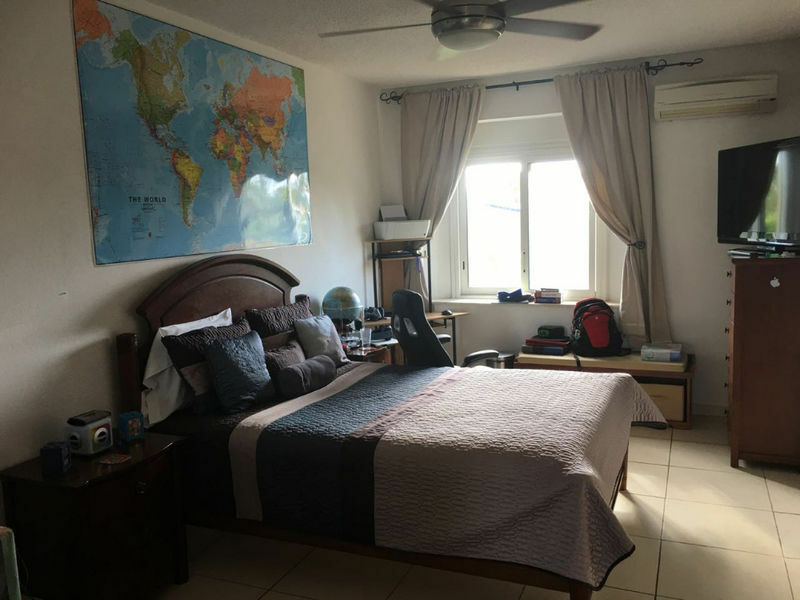 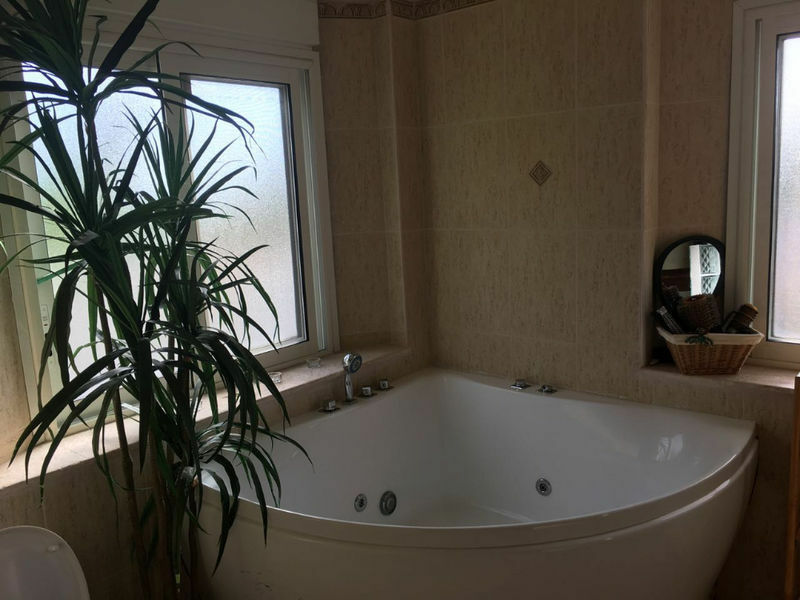 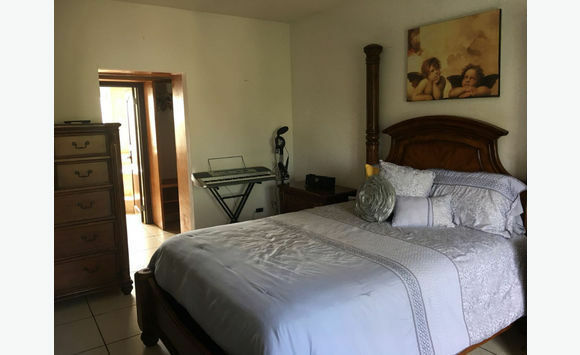 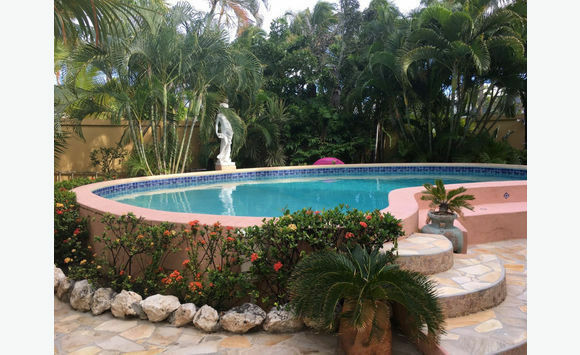 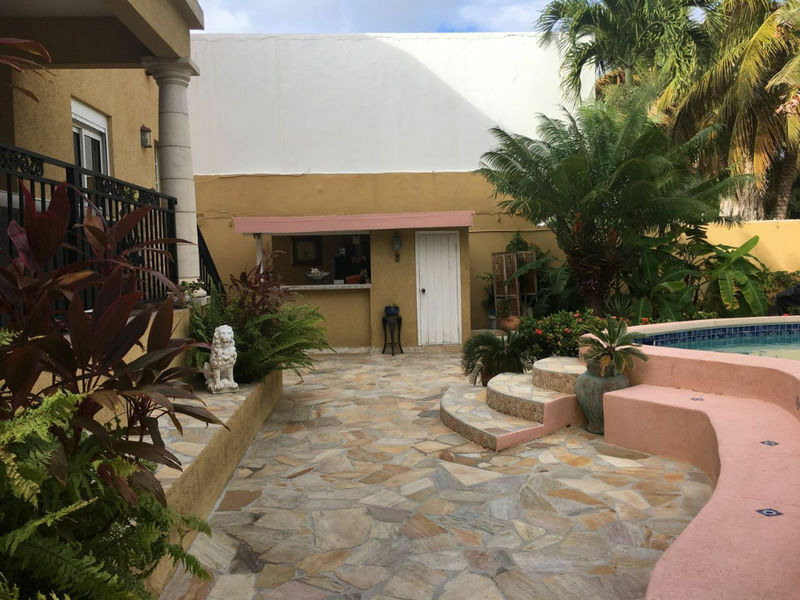 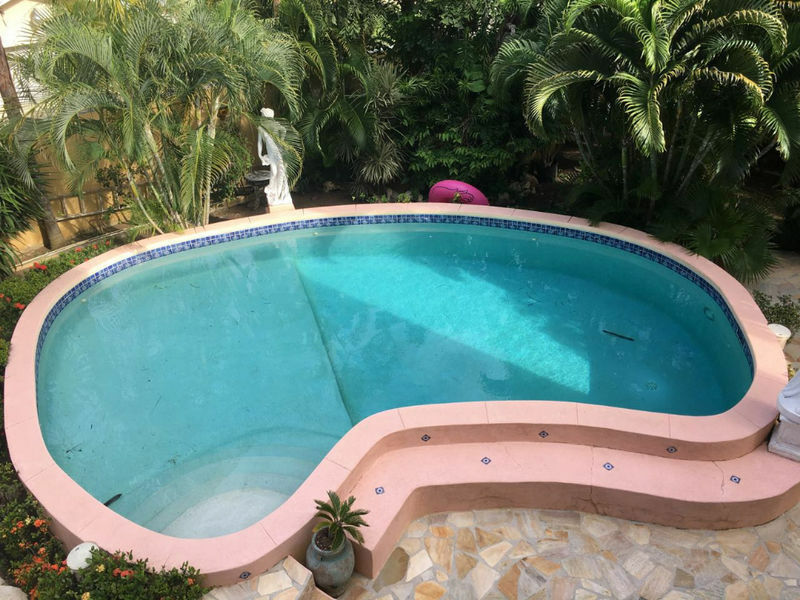 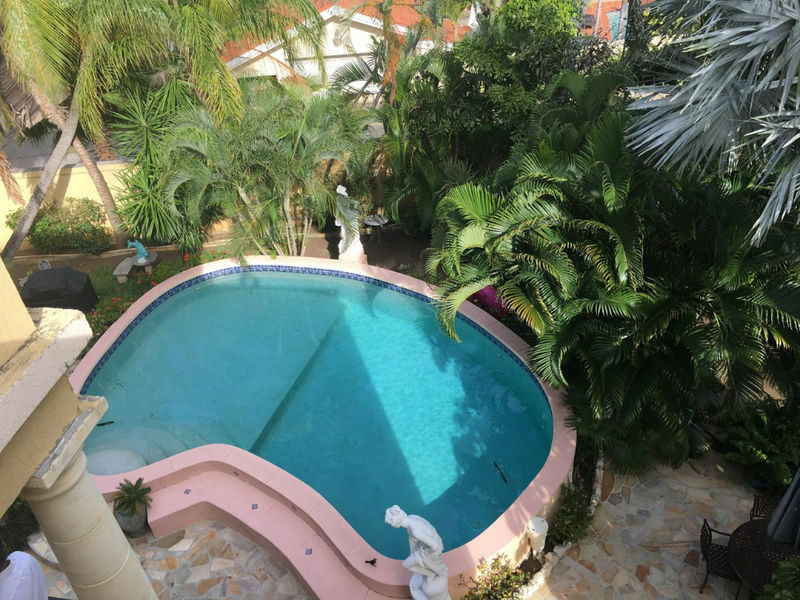 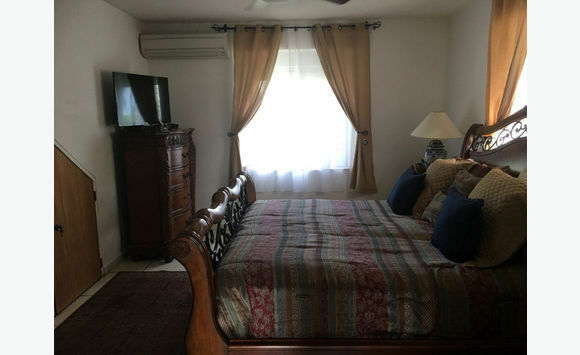 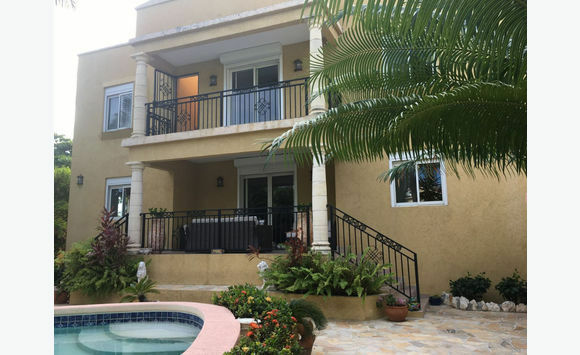 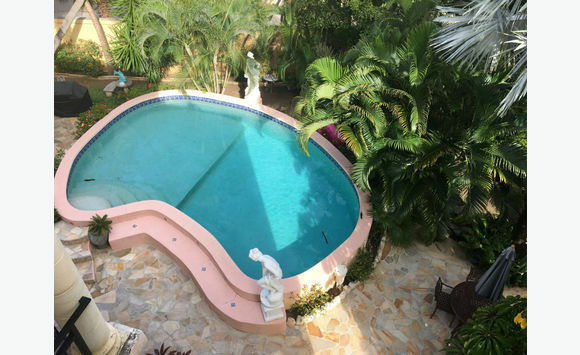 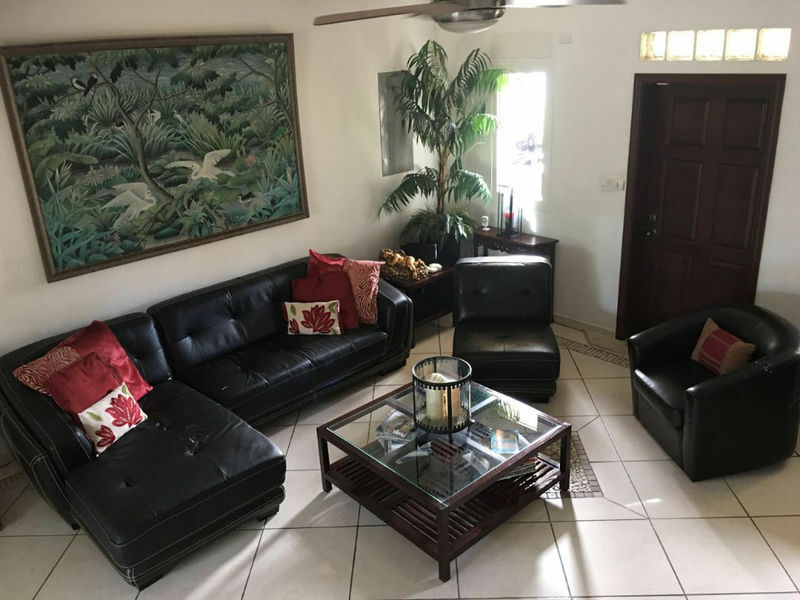 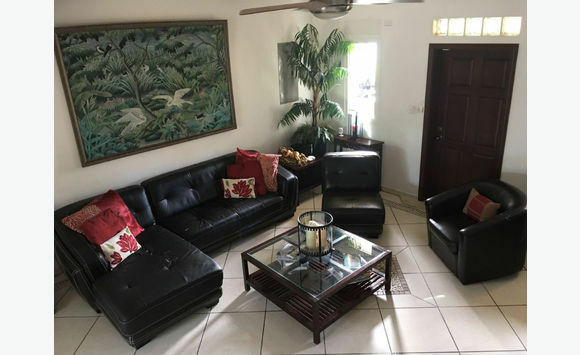 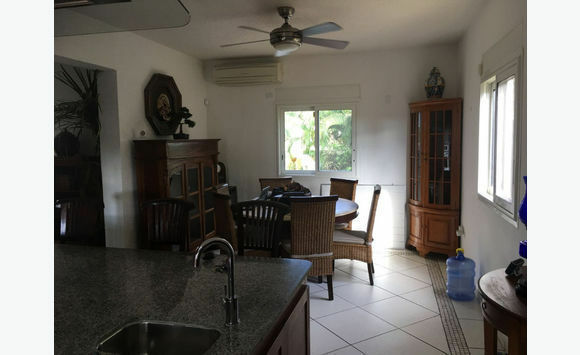 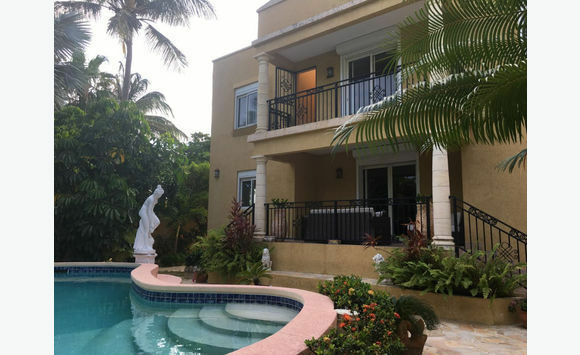 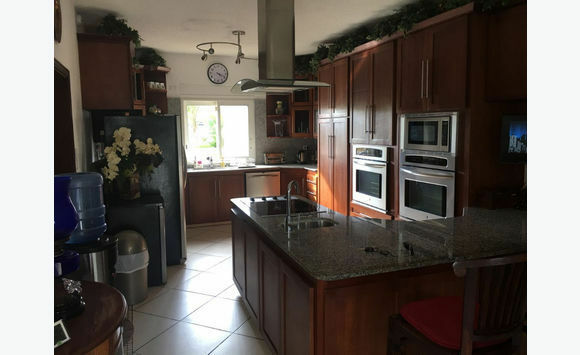 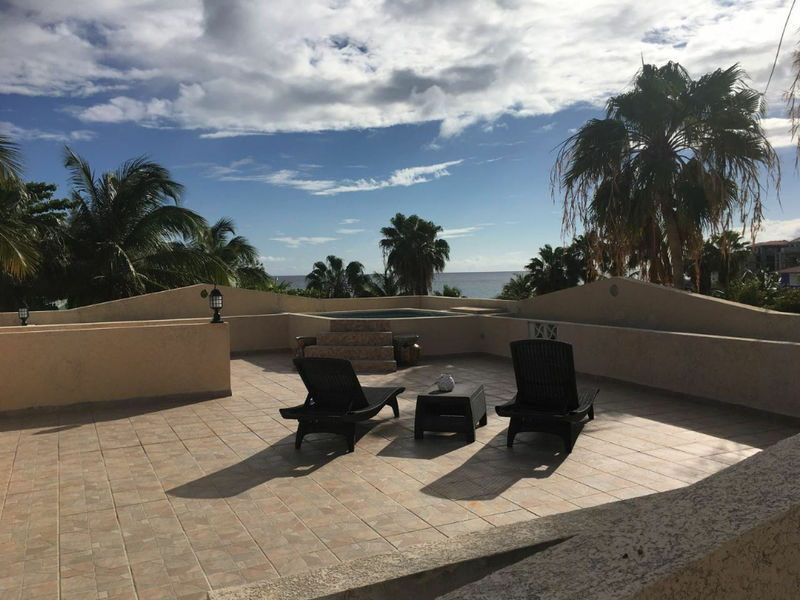 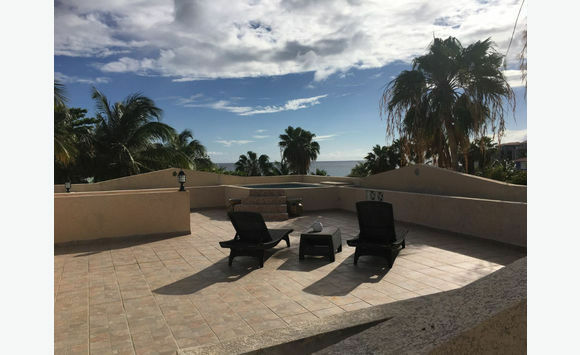 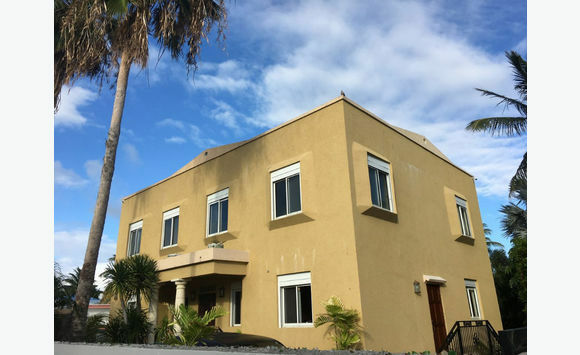 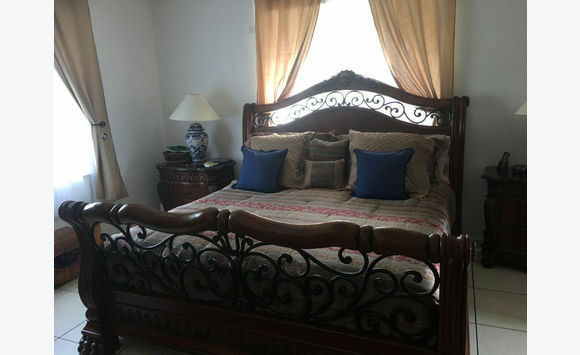 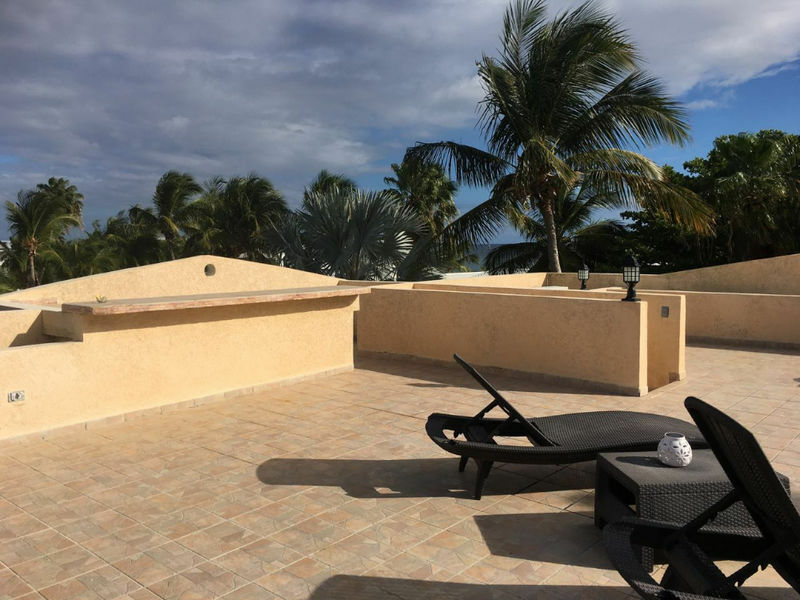 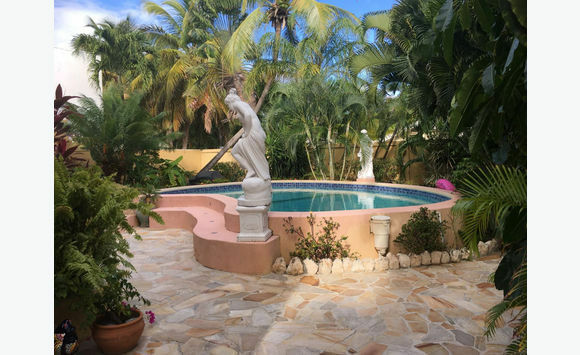 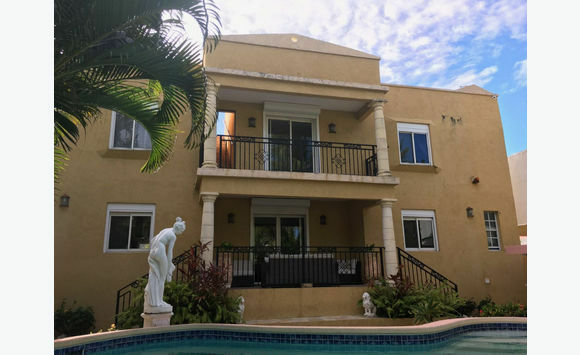 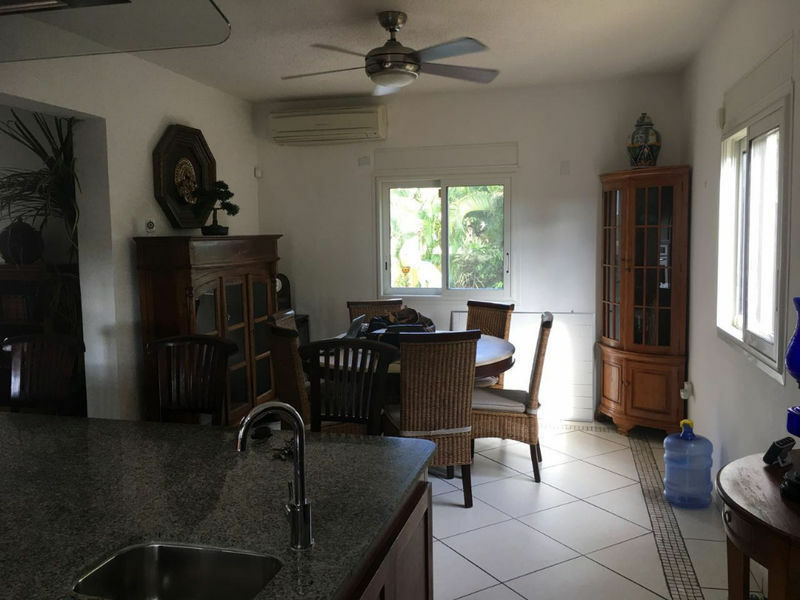 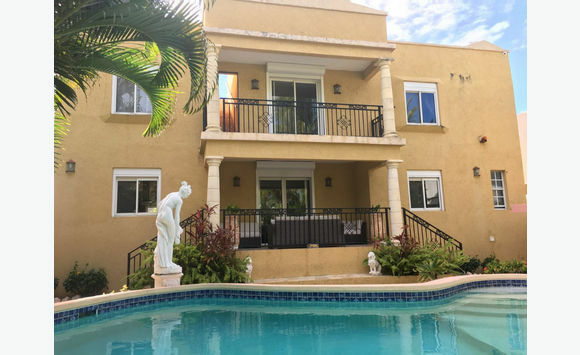 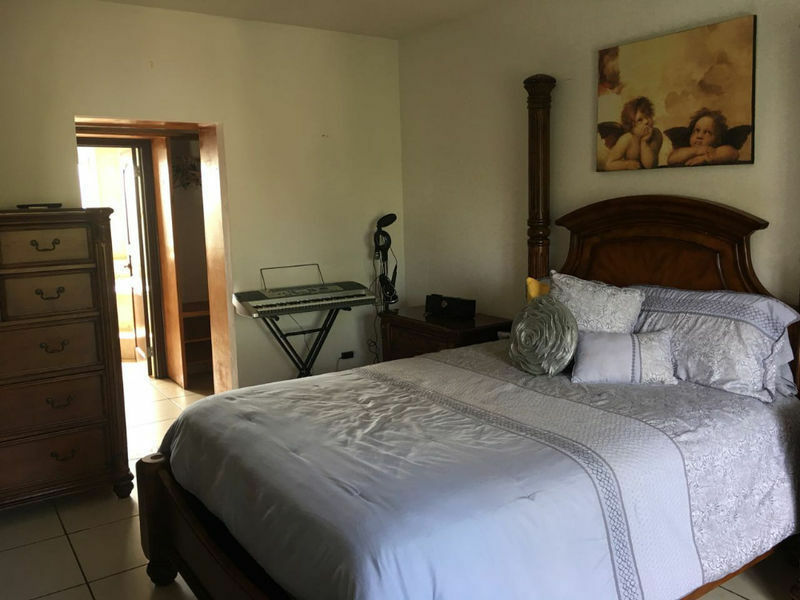 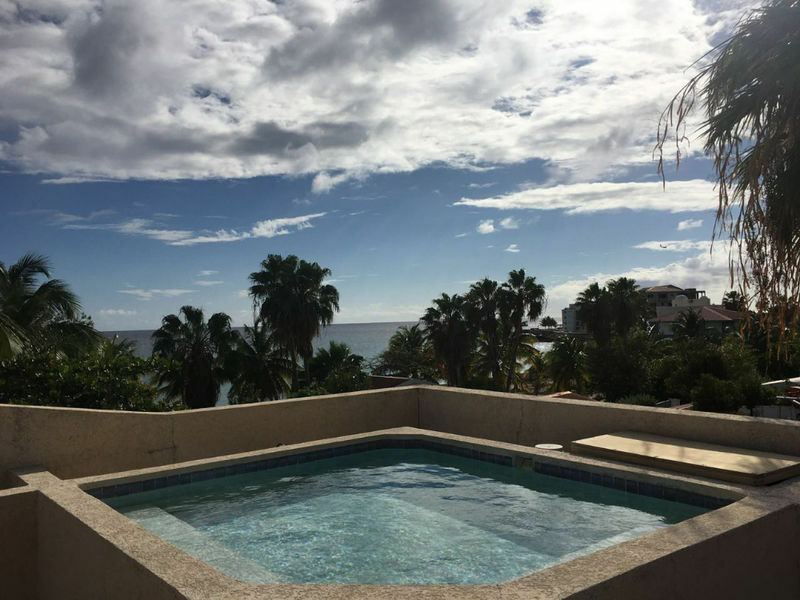 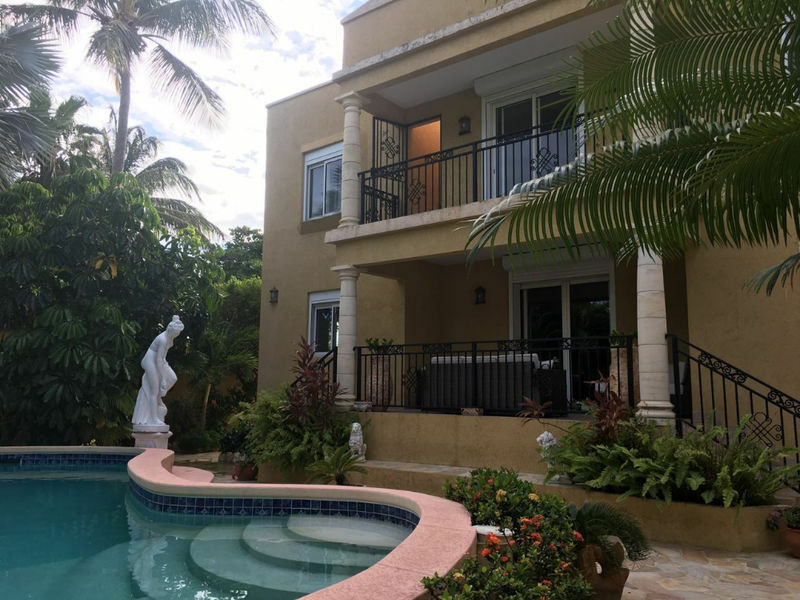 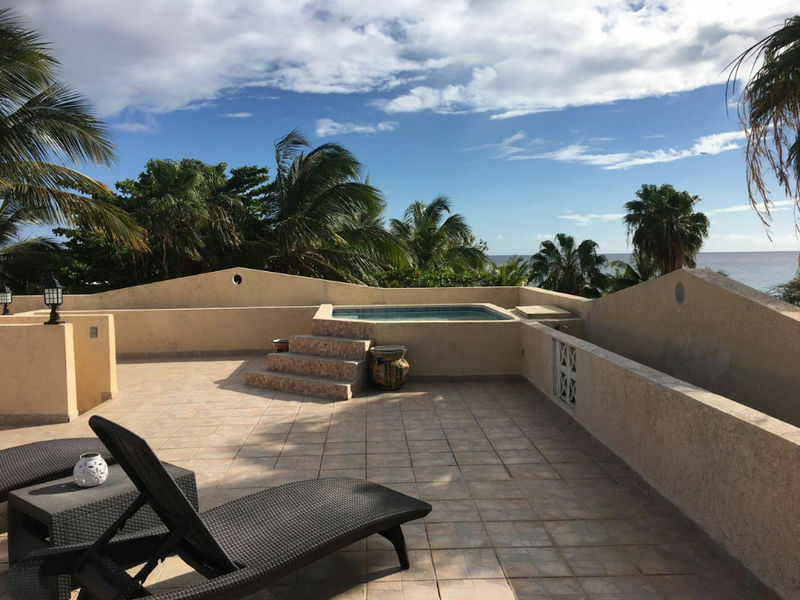 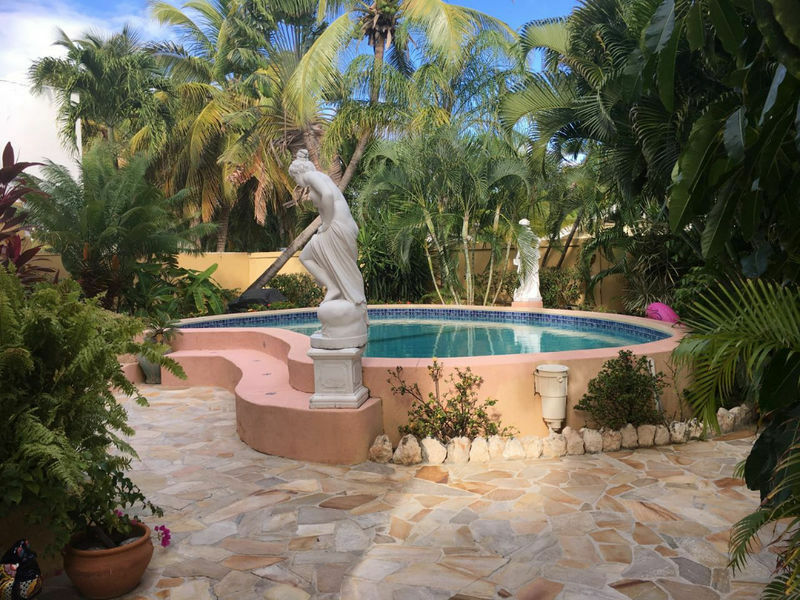 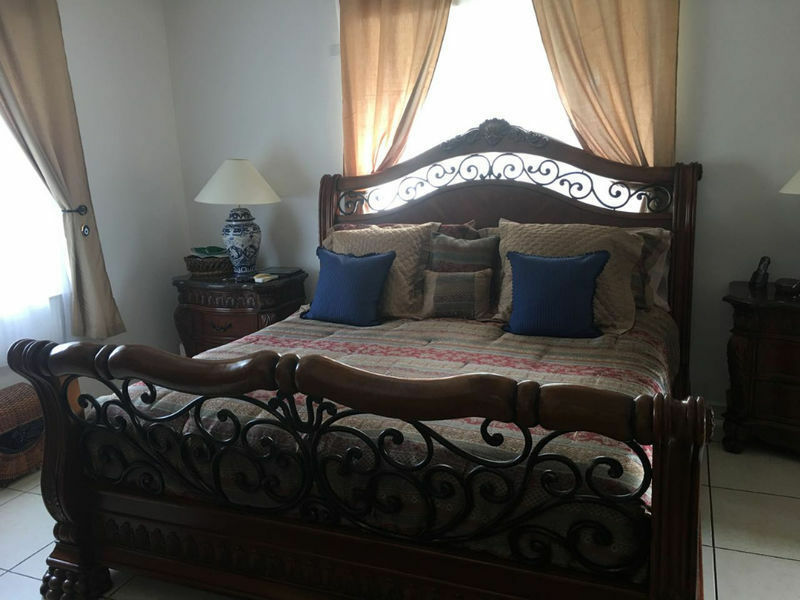 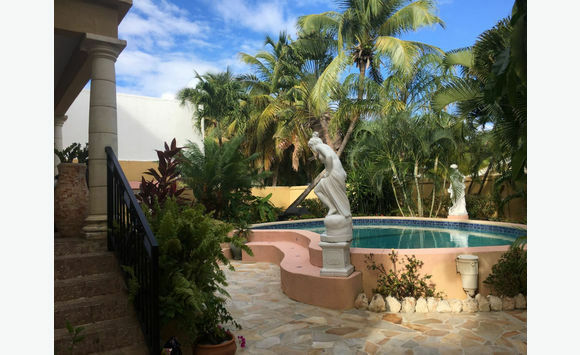 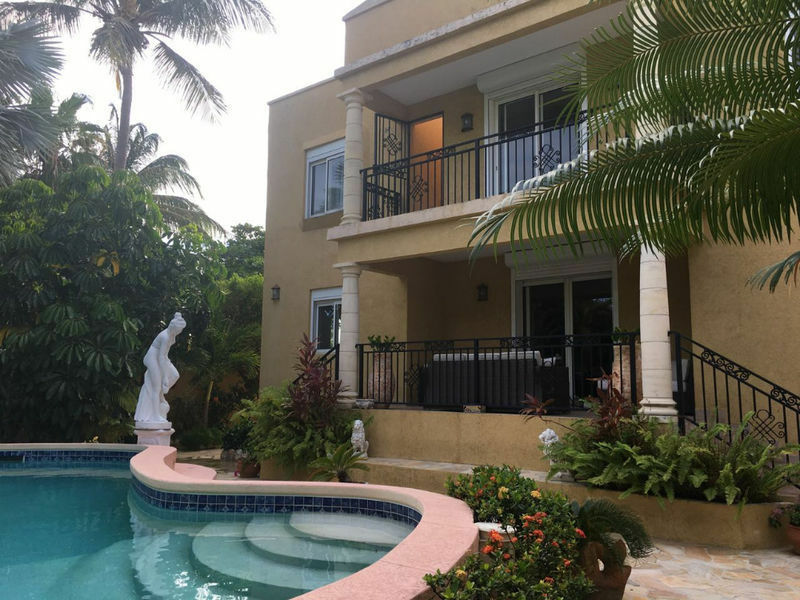 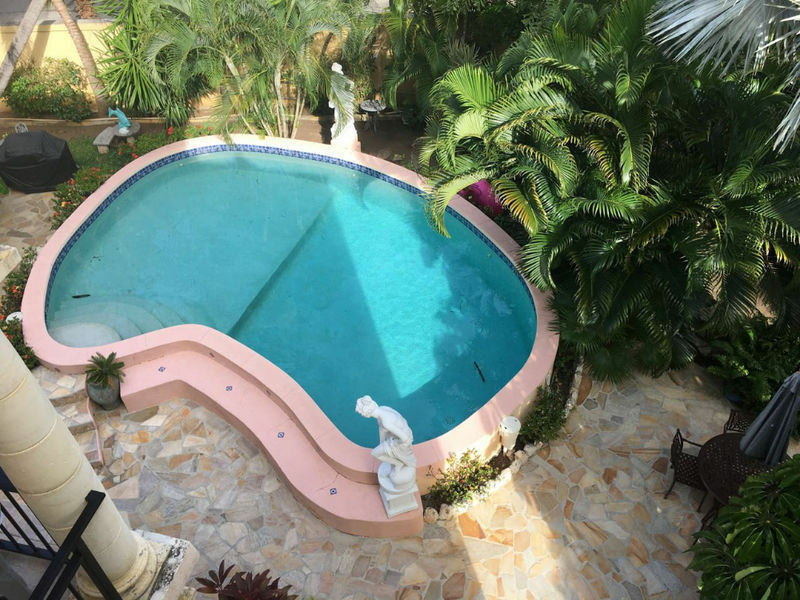 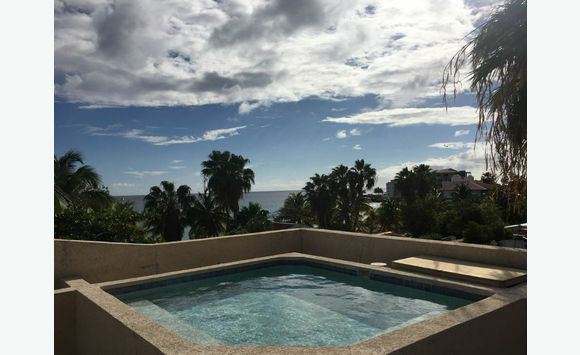 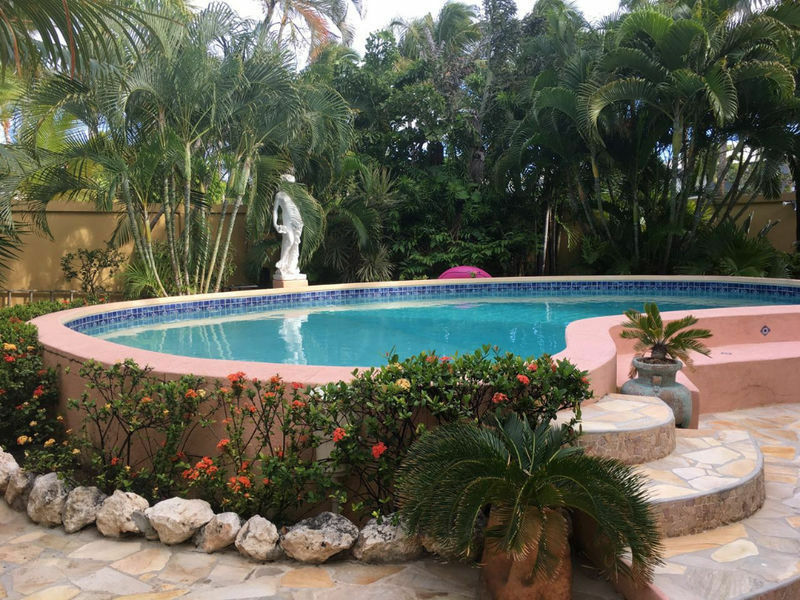 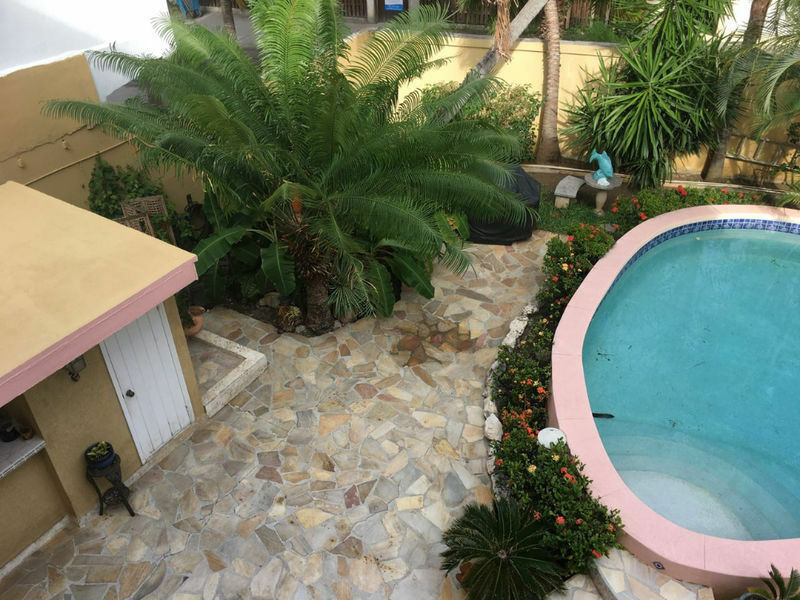 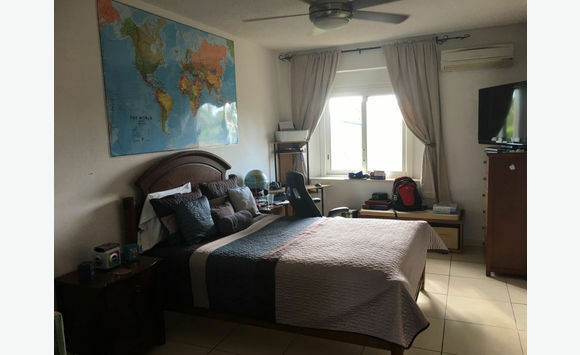 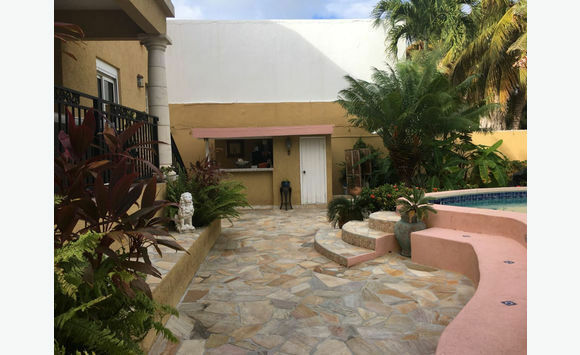 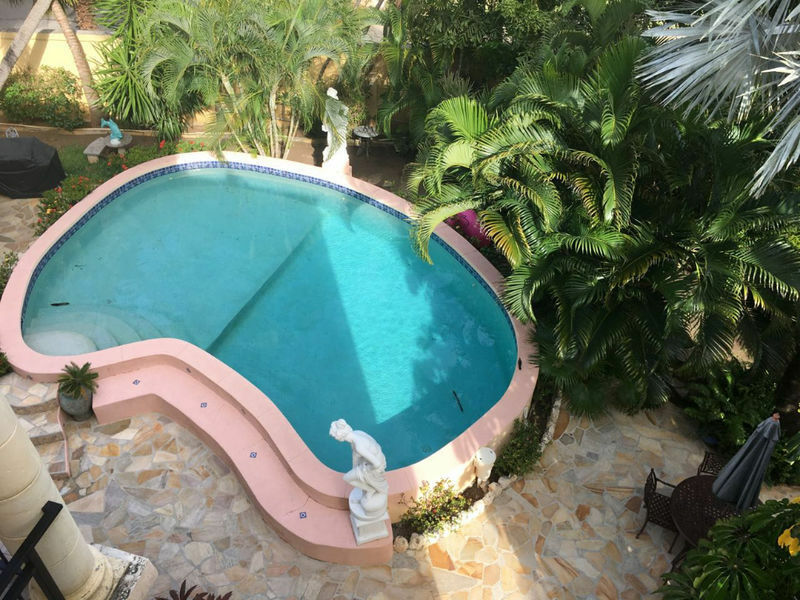 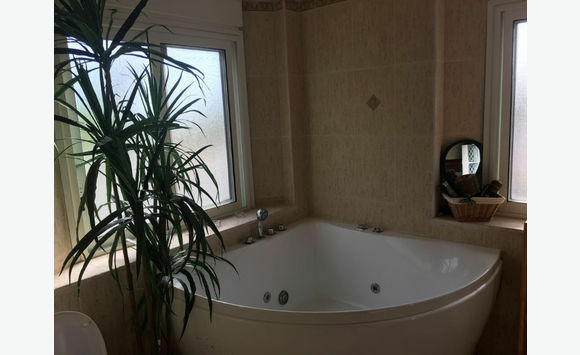 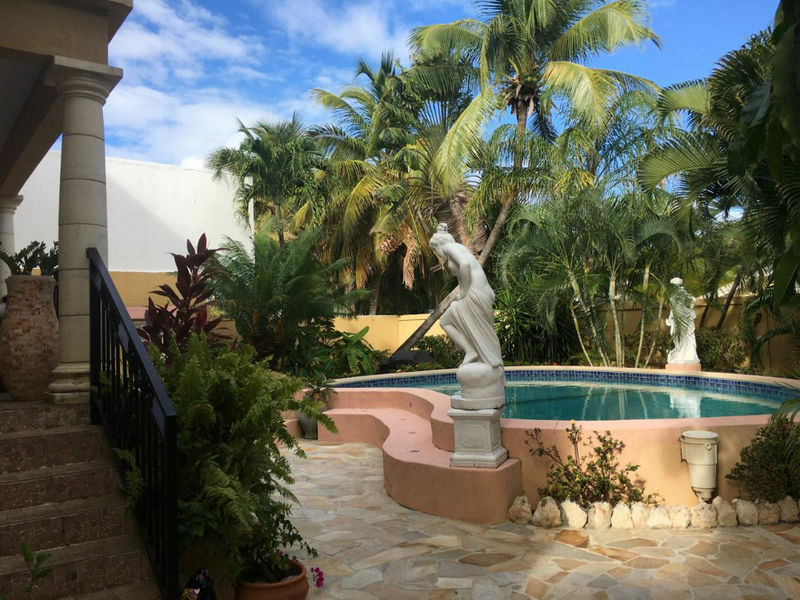 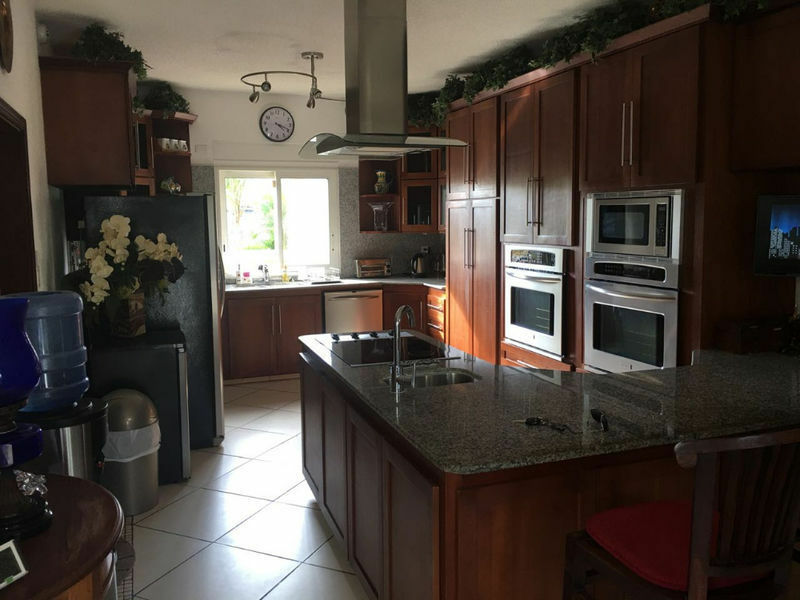 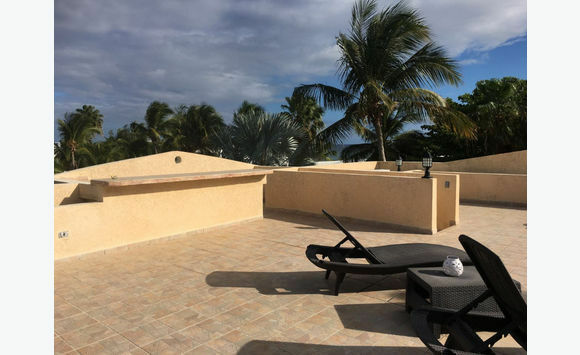 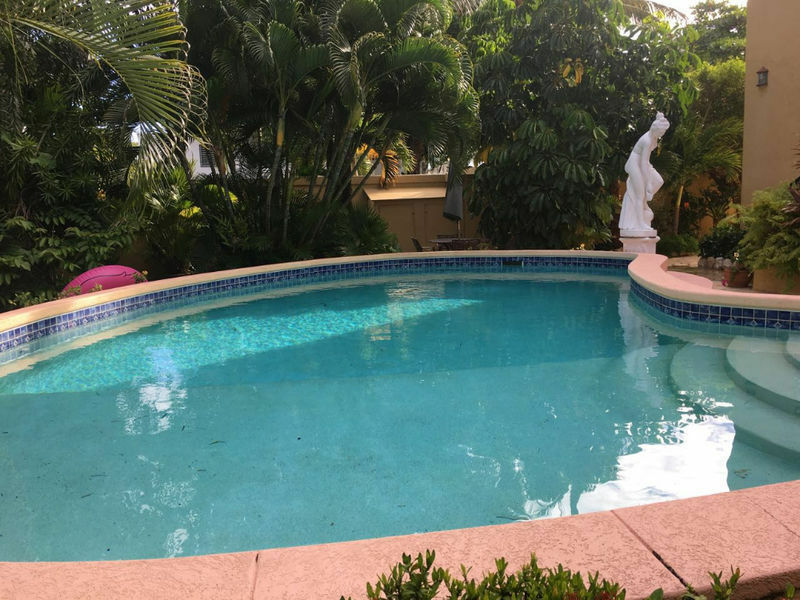 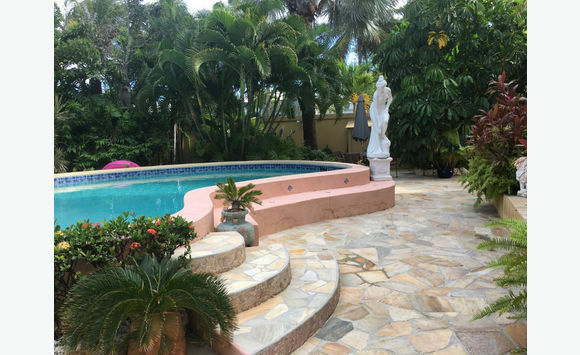 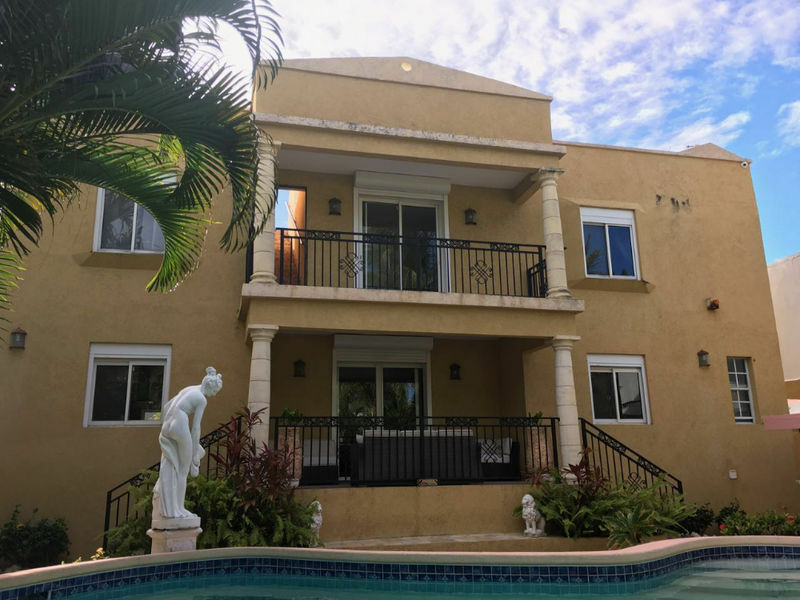 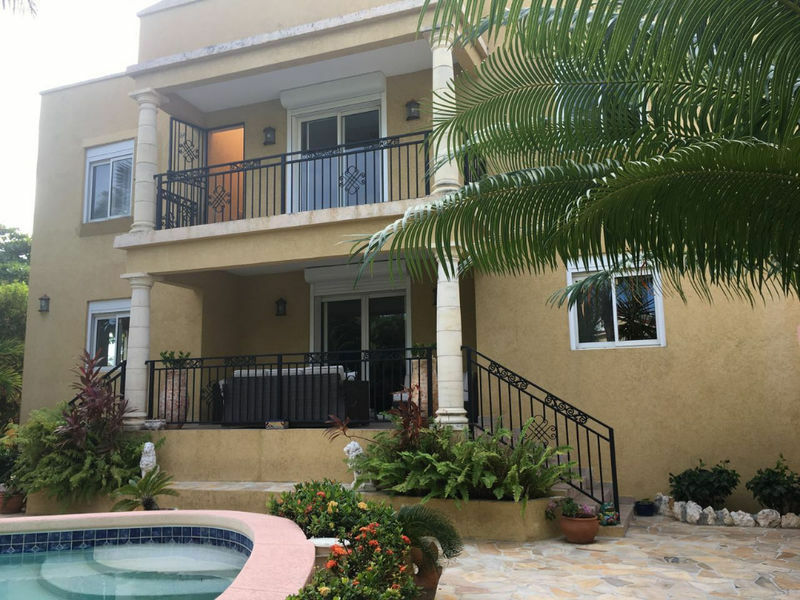 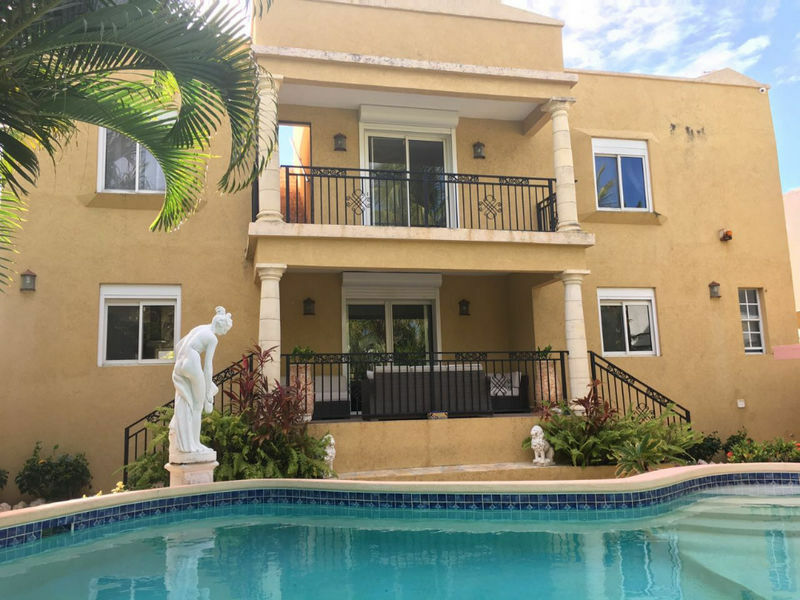 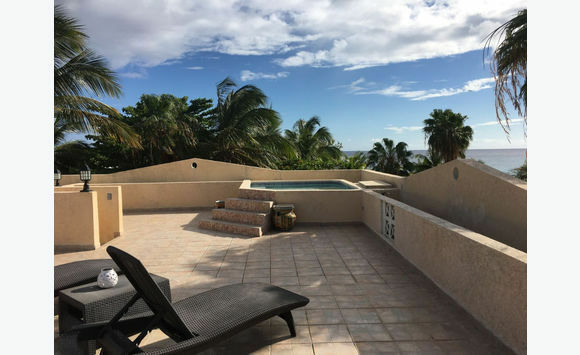 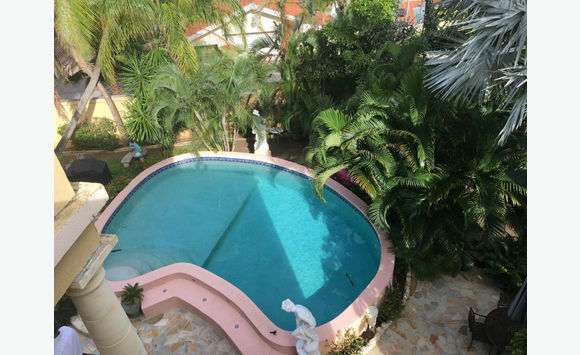 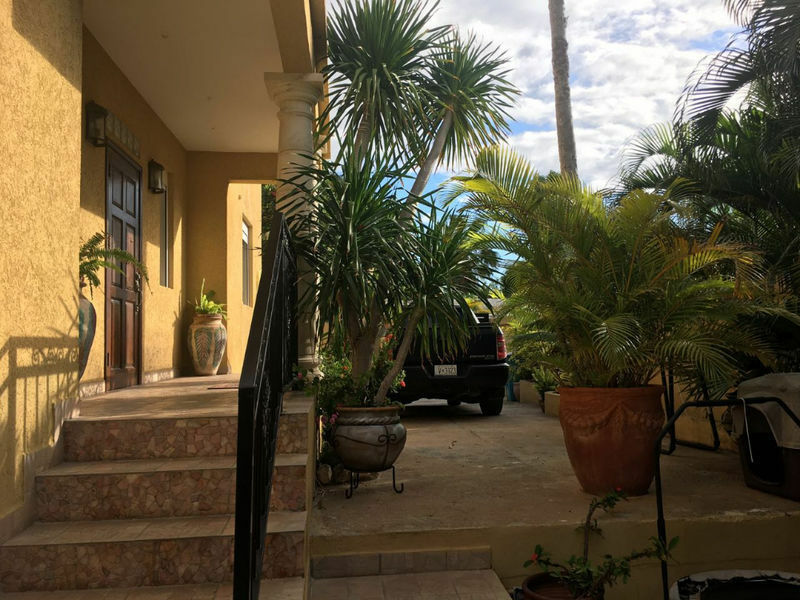 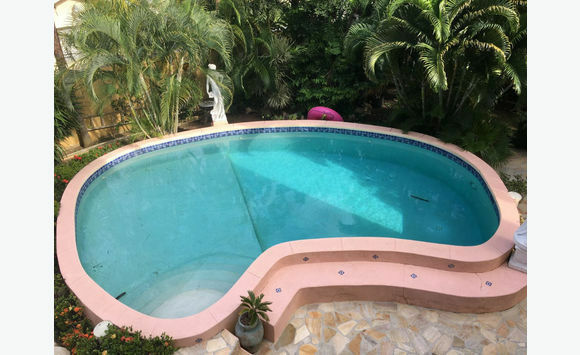 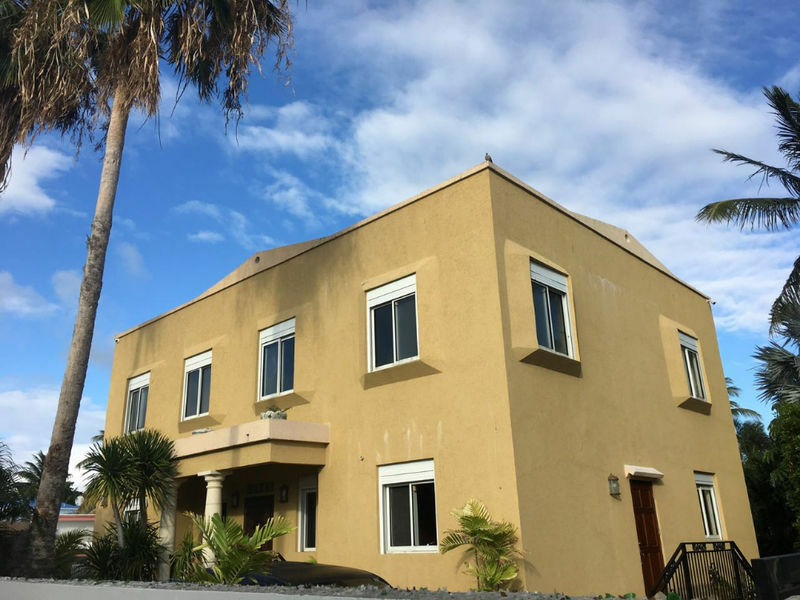 Stunning ocean view, 5 bedroom, 4 baths, 2 floor villa, located at the quite and safe family residential, Bacon Hill, boost of it astonishing sunset from its magnificent Jacuzzi roof top, for hosting family, friends or private tranquility. 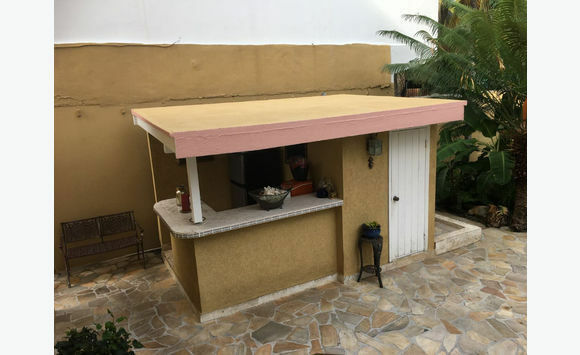 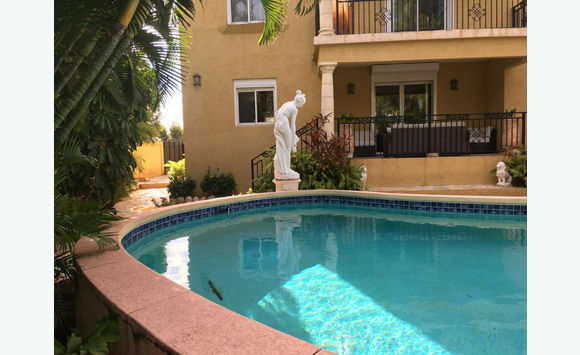 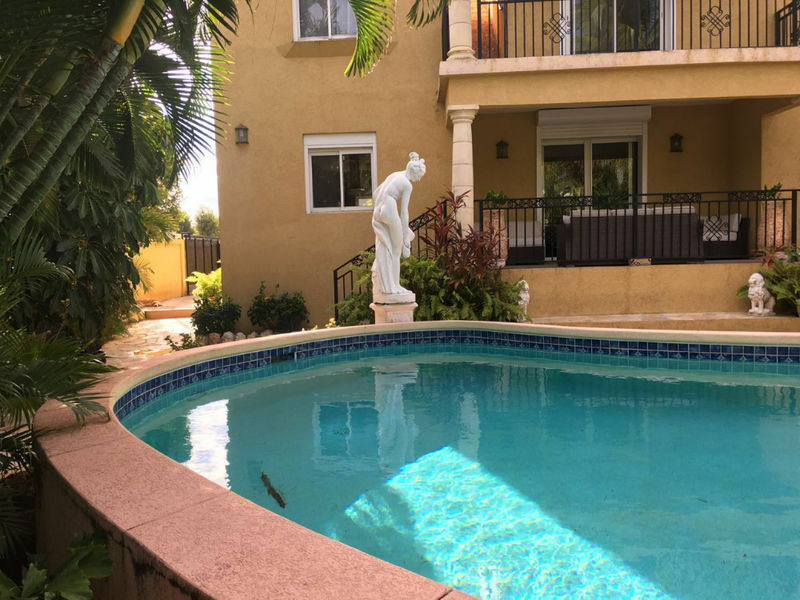 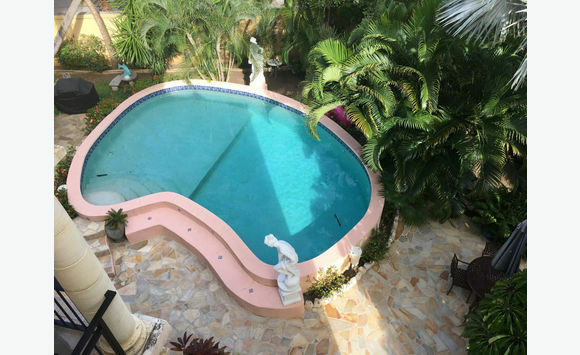 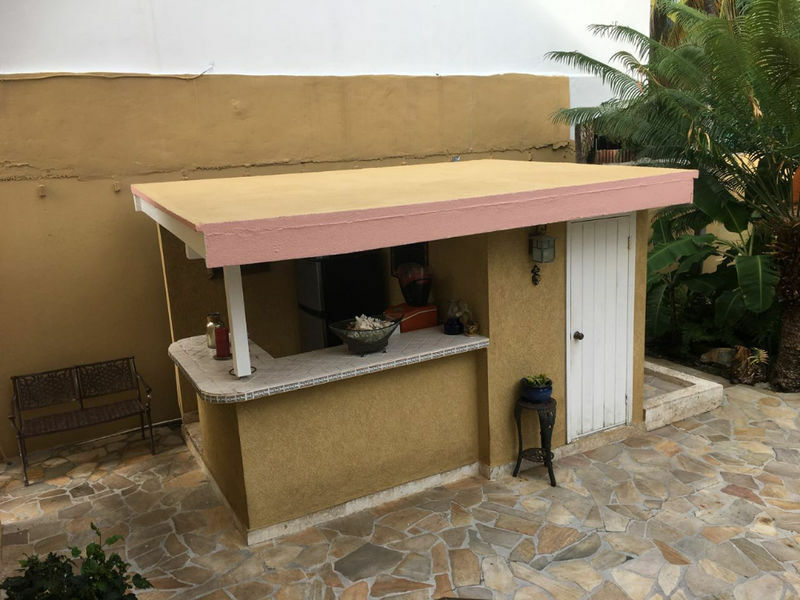 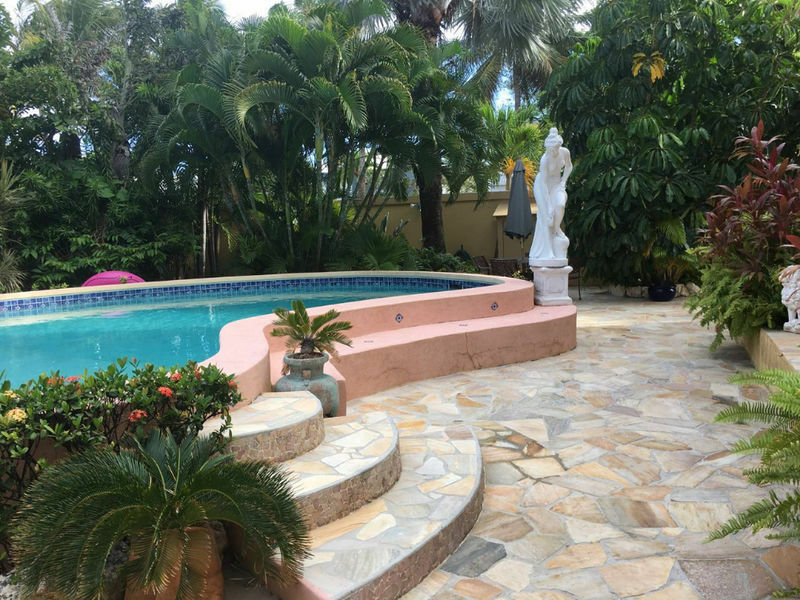 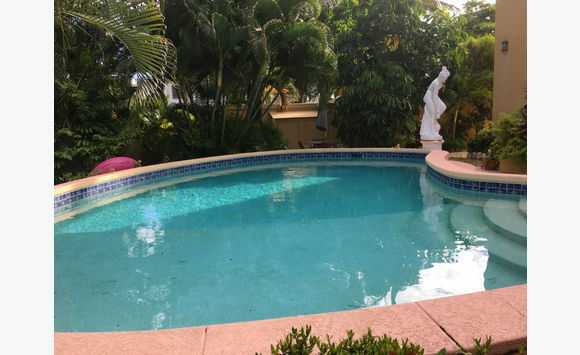 Private pool and pool bar, lush green garden, privately secured by a 6 foot wall. 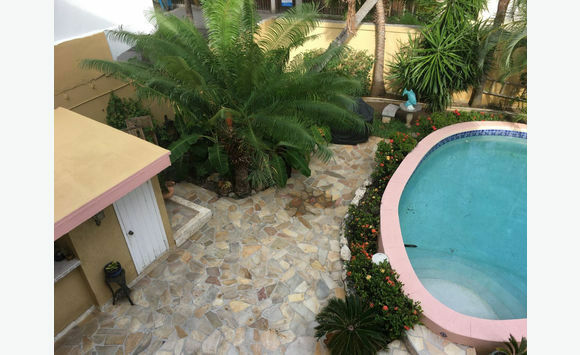 Neighboring the swimming pool, is a gym and a bathroom. 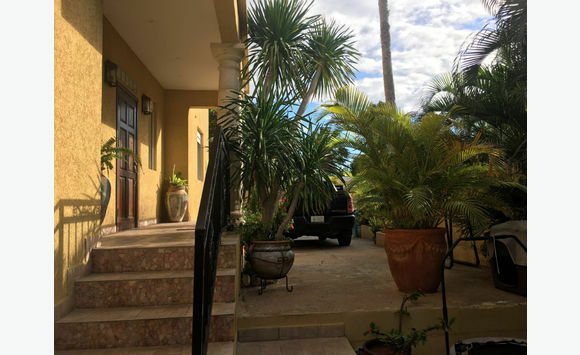 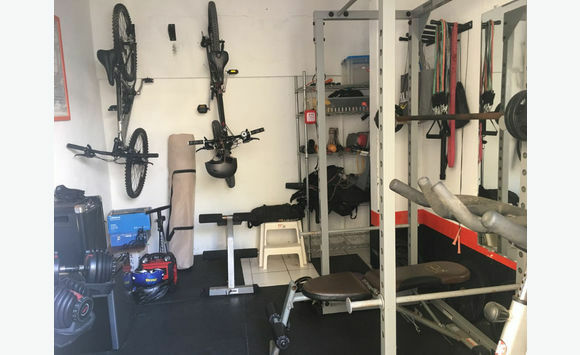 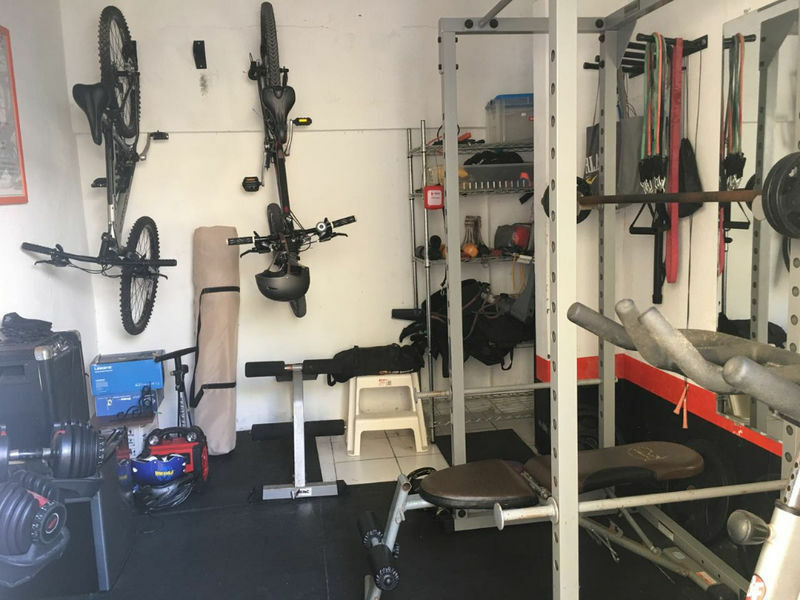 Extensive parking enough for two large cars to fit inside the gated property.